California-based company Bespoke Innovations is using 3D printers to create personalised artificial limbs, much like the “bespoke” suits that were custom tailored for the individual in the past. 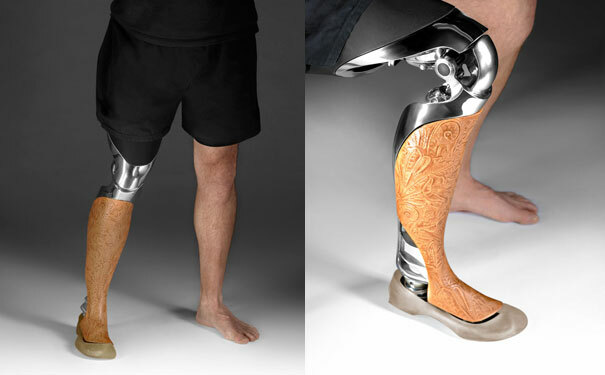 Limbs cost around $5300 to print, making them significantly cheaper than conventional medical options. Large-scale production of artificial limbs has been a limited process until now, using a robotic cutter that does not properly delineate the shape of the limb, says Summit. The 3D printing process used by Bespoke enables the fairings, or limb structures, to become solid realities from models designed using specialist software. The printing process builds successive layers of materials on top of each other to create the product. The result is identical numbers to mass production, but catering to individual tastes. 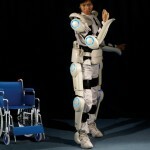 Bespoke Innovations aim to use personalisation to make people whole again. Summit wants people to be able to have a choice in the look and design of their limbs, not just see the prosthetic as a tool for walking. As a result, most of the process of the creating the limbs takes place during an interview between the designer and the customer. So how long do they last? The durability of the fairing depends on the person, says Summit. He likens it to buying a new pair of shoes. Some people will take a lot of care with them; others will use them until they fall apart. Previous customers have solved this problem by having multiple fairings for different uses, for example one for partying and another for working in the garden. It’s gratifying to give people ownership over the look and feel of their body, says Summit, and he feels a sense of honour at giving people back their wholeness. “When we do put legs on people, which is fairly common now, it completely changes someone’s life. It’s a really strange thing to contribute at that level of a person’s life.